Dr. Krajden is a well known and reputable Toronto plastic surgeon who performs his cosmetic plastic surgery procedures at the SpaMedica Plastic Surgery centre in Yorkville. Dr. Krajden is also the Chief of Plastic Surgery at the Sir William Osler Hospital in Brampton, where he performs his complex reconstructive plastic surgery. Dr. Krajden was born in California and grew up in Toronto. He attended the University of Western Ontario in London for both his Medical Degree (M.D.) and Bachelor of Science in Physiology (BSc) and received numerous academic awards. After rigorous training in all aspects of Plastic Surgery in the prestigious Division of Plastic Surgery at the University of Toronto, he obtained his fellowship in Plastic, Reconstructive and Cosmetic Surgery (FRCSC) from the Royal College of Physicians & Surgeons of Canada. Dr. Krajden brings his interests in a variety of areas to SpaMedica including: short-scar breast lifts, breast reduction, specialized liposuction techniques such as SmartLipo, Laser Liposuction and Bodytite Radiofrequency assisted liposuction, tummy tucks, surgical removal of skin lesions and total body contouring after weight loss. By constantly staying abreast of new techniques and travelling abroad, Dr. Krajden will ensure that SpaMedica patients are receiving optimal medical care and surgical results. Dr. Krajden has also been sought out by both law firms and insurance companies as a medical expert to provide his opinion on their most challenging cases, as well as provide treatment for aesthetic compromised scars and traumatic defects. These patients are often sent to Dr. Krajden for both assessment and treatment. In addition, Dr. Krajden currently holds an academic appointment at McMaster University as an Assistant Clinical Professor. Dr. Krajden has made television appearances talking about cosmetic surgery treatments and the latest trends. View his TV appearances below. Dr. Krajden Explains UltraShape Non-Surgical Fat Reduction on eTalk UltraShape non-surgical fat reduction uses ultrasound to permanently remove fat. It’s a good alternative for those who don’t want a surgical procedure. Dr. Krajden exlpains how this treatment works. 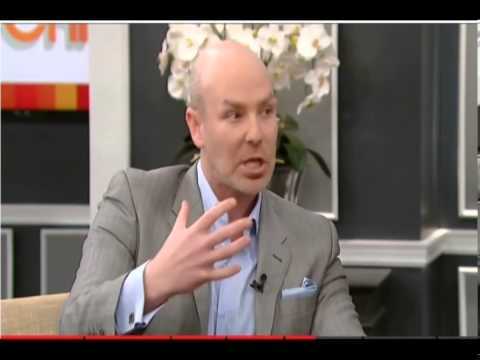 Dr. Krajden on Steven and Chris Show Discussing Cosmetic Treatments Dr. Krajden talks about different non-surgical treatments like Botox Injectable and FotoFacials people can do to take care of their skin. He also mentions surgical options like facelifts for a dramatic makeover. Dr. Krajden on Steven and Chris Show Performing CoolSculpting Demonstration Dr. Krajden explains how CoolSculpting Zeltiq, a non-surgical fat reduction treatment, works. The SpaMedica team demonstrate the treatment in this segment.